To promote, inspire, recognize, and empower excellence in human service ministries. We should strive for perfection. We should maintain disciplined connectional fellowship to study, reflect, pray, share, and hold each other accountable for our missions and ministry as United Methodist faith-based communities. The concern for the welfare of the whole man weighed heavily on John Wesley in eighteenth century England. He studied medicine, in his spare time, practicing preventive and curative medicine and earned the right to be called a physician. He saw a growing need to provide medical help to the poor and opened dispensaries in London, Newcastle, and Bristol. His well known and widely read Primitive Physic or The Easy and Natural Way to Cure Most Diseases, published in 1747, went through thirty-two editions. Years before the discovery of the germ theory, Wesley perceived the relationship between disease and poor hygiene and preached good hygiene as a means to good health. 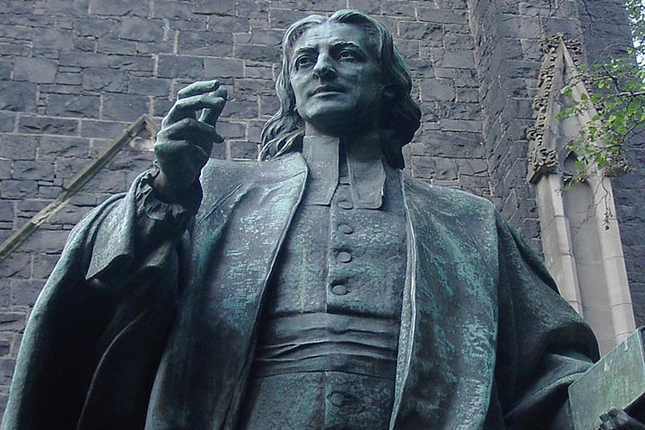 The saying “Cleanliness is next to Godliness” is from one of Wesley’s sermons. Wesley was also among the first to consider the connection between pain and emotional distress and the need to treat the whole person. The first health and welfare agency in America dates to the mid-eighteenth century. Thirty years before Francis Asbury, the Father of American Methodism, was sent to the American Colonies and forty-three years before the establishment of the Methodist Episcopal Church in America, George Whitefield saw the crucial need for the care of children in the early colony of Georgia. Out of his efforts the first welfare agency in America was established in the Bethesda “orphans house,” in 1741. The first home for aged persons under the auspices of the Methodist Episcopal Church was established in New York City in 1850. That year it opened its doors in a rented house to twenty-three elderly people who each paid $1.00 per week for their care. In the late nineteenth century, numerous agencies were springing up across the nation caring for old people and orphans, but the biggest boom did not occur until the late nineteenth and early twentieth centuries as the nation moved from an agricultural rural society to a more urban industrialized population. Houses were no longer built to care for multi-generational families. Adult children became overburdened with care of elderly parents who found little to occupy their time in the crowded urban households. The decade of the 1890s was a period of large growth in construction and development of hospitals, homes for the aging and dependent children. Between 1875 and 1919 over 800 benevolent homes to care for the elderly alone were formed. Many United Methodist agencies trace their history to this period. Through the years the Methodist Episcopal Church divided over such issues as slavery and interpretation of the doctrine. Among branches that separated were the African Methodist Episcopal Church, founded in 1787, the African Methodist Episcopal Zion Church, 1796, the Methodist Protestants, 1830, the Free Methodist Church, 1860, and the Christian Methodist Episcopal Church, 1870. Perhaps the most devastating split of all came in 1844 when the Methodist Episcopal Church was bisected to form two churches: the Methodist Episcopal Church—the northern body—and the Methodist Episcopal Church, South. It was to be many years before branches of this church would begin coming together again. In May 1939, in Kansas City, the Methodist Episcopal Church, South, the Methodist Protestant Church and the Methodist Episcopal Church united to form the United Methodist Church. This merger was significant to health and welfare interests of the church, for in Chicago, in 1940, the new body established the General Board of Hospitals and Homes, the organization to which the United Methodist Association of Health and Welfare traces its origin. Mary Kemper has served as the President and CEO of the United Methodist Association (UMA) since the fall of 2016. In her role, she supports the work of the EAGLE Accreditation Program, which is the only faith-based accreditation body in the country. Mary has more than 25 years of nonprofit association experience with specific expertise in areas such as member services, education development, accreditation, advocacy and communications. Prior to UMA, Mary worked at LeadingAge as Director of Education, where she supported education development for the organization and assisted with the LeadingAge and LeadingAge PA Annual Conference. Michelle Chandler has been with the United Methodist Association (UMA) since July of 2011. She has served in a variety of roles since starting with the organization. Beginning as Program Coordinator and currently bearing the title of Director of Operations and Member Services, her field of expertise stretches anywhere from member relations to organizing and planning conferences. Michelle testifies that the biggest change she has witnessed since starting with UMA is the overall improvement of member relations with the organization. As UMA continues to grow, she hopes to see further development of service organizations through the EAGLE accreditation process as well as helping those organizations by connecting them with invaluable resources. Jill is responsible for the operations, promotion and expansion of the EAGLE Accreditation Program. Jill has served at The Methodist Home for Children and Youth for over 27 years. She has a B.S. in Psychology and an MPA from Georgia College. As Executive Vice President, she has led her organization's quality processes, organized accreditation activities, overseen Admissions, and the Early Learning Center. She has guided The Methodist Home through both COA and EAGLE Accreditations since 1996, becoming a peer reviewer and ultimately team leader for both bodies. Jill brings to UMA extensive knowledge of the EAGLE principles and processes, strong relationships with UMA and EAGLE organizations and a deep commitment to, and passion for, EAGLE.